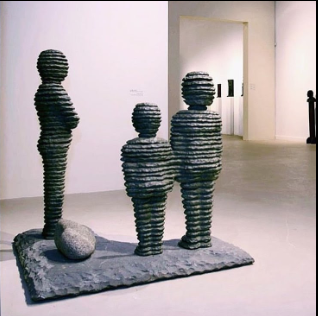 As an established international artist, Vaadia exhibited his sculptures in public and private places worldwide. Among thers, his works are permanently installed at the entrance to the Time Warner Center in Manhattan. His temporary exhibitions include 11 large sculptures installed throughout the city of New York; sculptures in the White House Rose Garden; and in Barclay’s Bank HQ square in London. In Israel, only two of Vaadia’s sculptures are on permanent public display: Asa and Yehoshaphat installed in Tel Aviv’s Independence Park in 2000. And prior to that, Reuven, which was installed in 1994 at the Open Museum, Tefen Industrial Park. 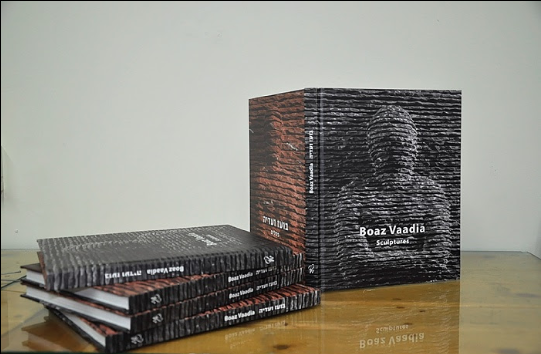 Vaadia’s works are also found in the permanent collections of leading international museums including, The Metropolitan Museum of Art, New York; The Jewish Museum, New York; San Francisco Museum of Modern Art, California; Hakone Open Air Museum, Kanagawa Prefecture, Japan; and Tokyo Metropolitan Teien Museum, Japan. His works are also in the collections of the Israel Museum, Jerusalem; Tel Aviv Museum of Art; and the Open Museum, Tefen Industrial Park. 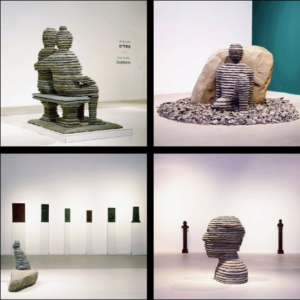 The exhibition presents 25 sculptures from different creative stages, including the small reliefs which are his final series of works. Vaadia’s life journey moves between continents and cultures. The presentation of his works in Israel, at the Open Museum, Tefen Industrial Park, offers something of a closure to this path.